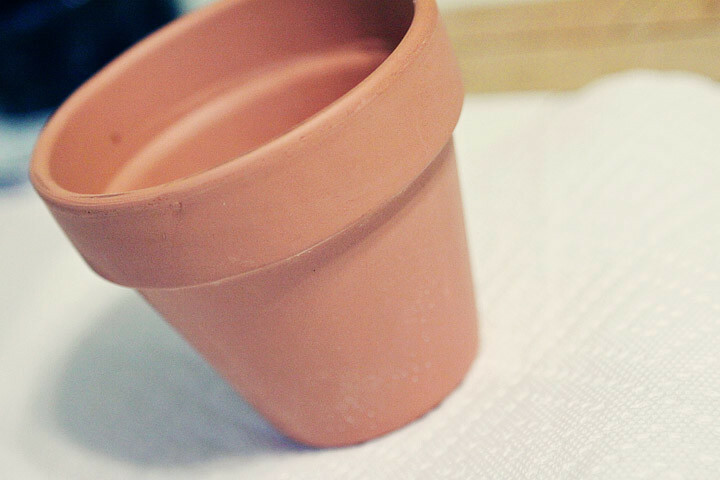 I love terra cotta flower pots. love them. they are so timeless, rustic, and they are cheap! 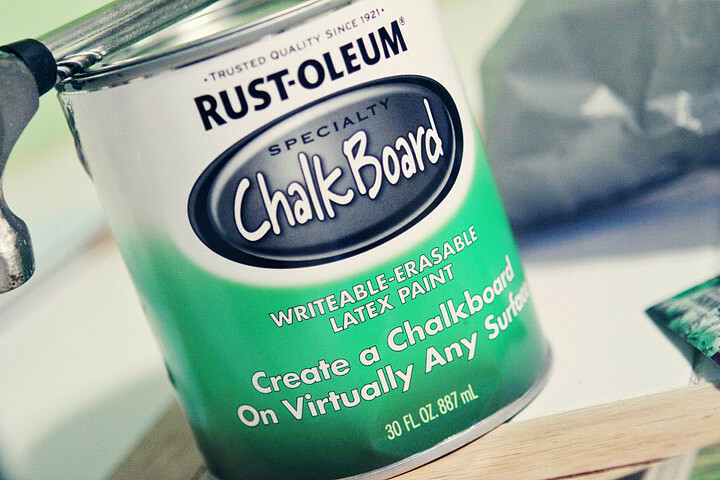 I had some left over chalkboard paint from this project. I decided to paint it on just the top rim. It dries relatively quickly. Then I used a white paint pen and drew some scallops on it. 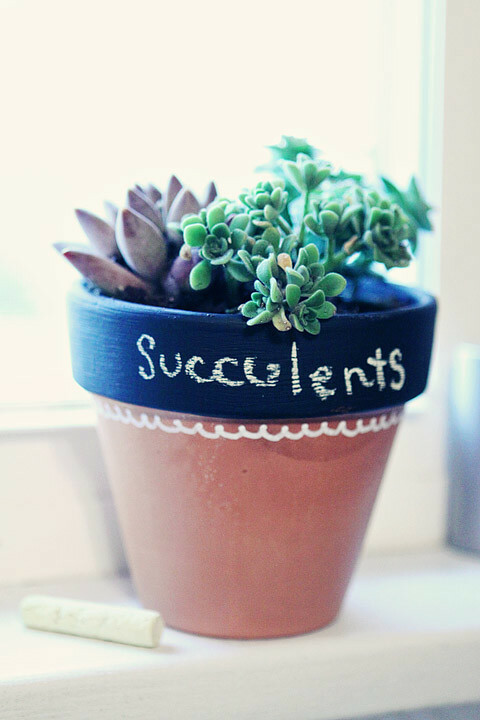 I planted some succulents in it and wrote on it. I love how simple it is! We are making these for MOPS on Monday morning! But we will be sharing some herb seeds instead of actual plants! OH my gosh! You can’t even believe how excited I was when I read we were doing this for MOPS! 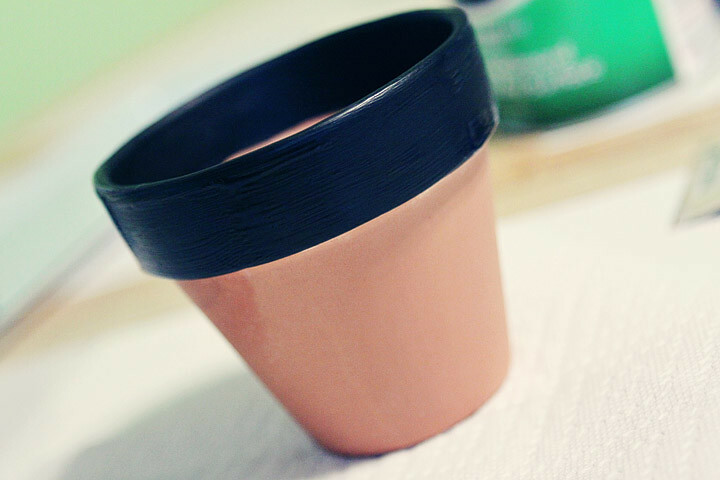 I was thinking…I better go get some pots and paint…and I get to do a sample one first! You Rock!